Scenes on the Yarra is an inter-disciplinary walking performance series that takes audiences on a journey through the land and waters at sites along the Yarra River. Each site has its own history, personalities, moods and soul that are explored in each performance. The series is being produced by scenographer, Jeminah Alli Reidy and supported by Melbourne Water and Yarra Ranges Council (for the Yarra Glen installment). For each site artists are invited to be involved in a week long workshop exploring Yarra River at that particular section. This then culminating in a site specific performance along its banks evoking the unique history and surrounds of each location. Last month was the second installment at the Yarra Flats Billabong, Yarra Glen. I was invited along with a whole host of other artists (local and visiting to the area). The artists involved were Elle Wolfhagen, Rollander Mackenzie, Mandy Pickett, Hannah Koch, Shirley Allott, Jacinta Chiron Birchall, William Veitch, Angie Macmillan, Zephlyn Neilson, Cora Zon, Thomas Veitch, Ellicia Rosemary Klimic and Jess Maguire. We spent an amazing week hearing all sorts of stories and histories, while exploring the place itself. It was an intense and rewarding experience to take all this in and then craft it into a performance. 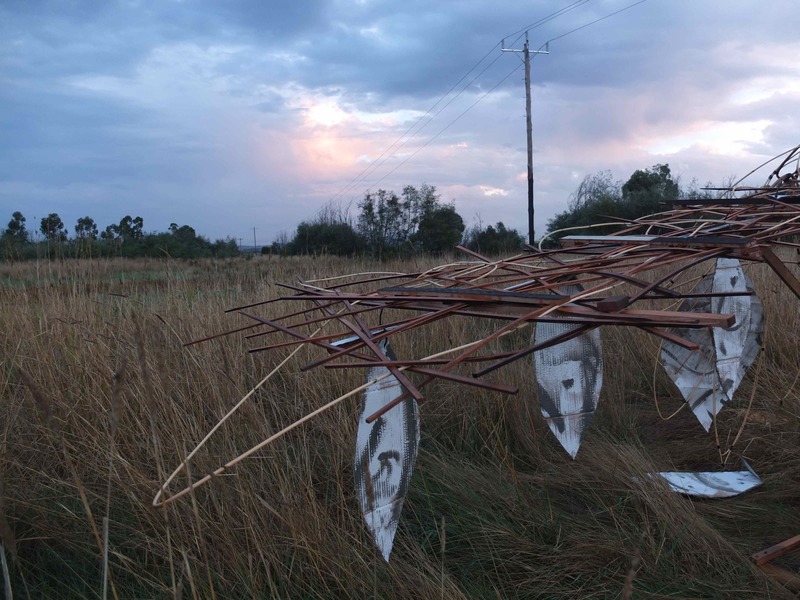 I created an installation piece referencing the birdlife of the billabong. Wow Tim! Sad I missed this. Will be interested to see the next instalment in October. Love these pics! Thanks Xisc. The next one will be a bit closer to home, so hopefully you can get along.